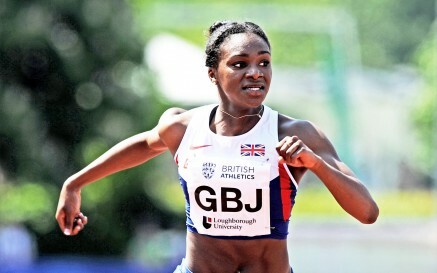 14th August 2014 – While most 18 year olds back in England were eagerly awaiting their A-Level results, Dina Asher-Smith (GBR) had other things on her mind. She was making her Great Britain senior individual debut at the European Championships. And what a debut she made. Winning her heat in a fraction outside her personal best she came back for the semi-finals in the evening session and not only progressed to the final automatically, not only broke her personal best, but also broke Kathy Cook’s long standing UK junior record by running 22.61 seconds. And while most 18 year olds will be out celebrating tonight, Dina will be resting as she prepares for tomorrows final. As one international career began tonight also saw the end of another. Former European and Commonwealth Champion Andy Turner (GBR) ran his last race in a British vest as he finished seventh in his 110m hurdles semi-final.